There’s always some great Ford news coming out of Michigan! Beach Automotive Group wants to make sure you’re always up to date. 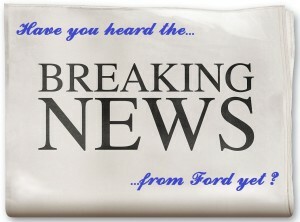 Keep reading to hear about all the Ford news! The 2017 Ford Escape won the Cars.com Compact SUVs Challenge, besting the 2016 Kia Sportage, 2016 Honda CR-V, 2016 Toyota RAV4 and the 2016 Hyundai Tuscon as the best choice for shoppers in the segment. “Between its huge driver-connectivity system, comfortable and quiet ride, and impressive built-in storage, the Escape is a real winner” said Patrick Olsen, Cars.com Editor in Chief. 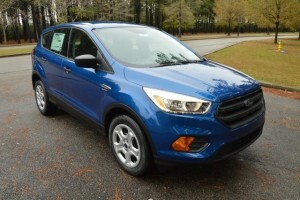 You can check out our current 2017 Ford Escape inventory by clicking here. SONY Turn up the Radio! 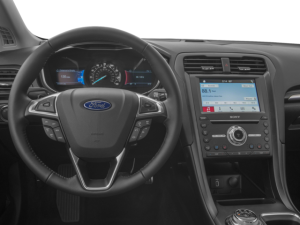 The Sony audio systems available on the 2017 Ford Fusion and the 2017 Ford Escape offer dual FM radio receptions. This provides longer and clearer listening to drivers’ favorite stations. These vehicles also include dual receptions for available HD Radio. The technology uses a second sound receiver and the rear-window heater grid as a second antenna to help improve reception, especially in cities and mountainous areas. As a matter of fact, you can read more about it in one of our previous blog posts here. 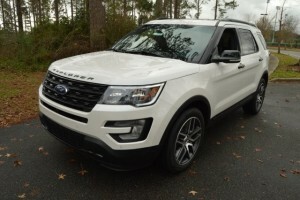 Ford Explorer Sport attracts a higher percentage of Generations-X buyers than all other non-luxury brand midsize SUVs in the United States, according to a new vehicle customer study by MaritzCX. With its 365-horsepower 3.5L EcoBoost V6 engine, Explorer Sport is a favorite of affluent professional Gen-Xers (born between 1965 and 1978) having an average household income of $175,000. It’s a good thing you don’t have to make that much money in order to afford your own Explorer Sport. Check out what’s available right now on the Beach Automotive lot by clicking here. If you’re interested in learning more information about any of these awesome Ford vehicles, give Beach Automotive a call today. Our helpful experts are waiting to hear from you! 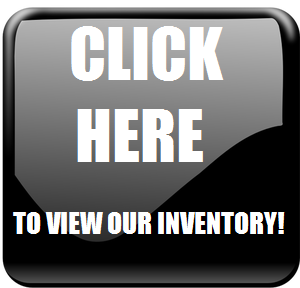 We’ve got all the info you’ll need to find the perfect Ford vehicle for your needs! 0 comment(s) so far on Ford News and MORE!